Admit cards can be very conveniently generated once the online application form data is collected and scrutinized. When the applications are closed, it is very convenient to scrutinized the application data by applying certain filters on the collected data. The records filtered after scrutiny are tagged / moved to the next level. These filtered applicants will be able to obtain admit card to appear for the examination. When all the filtering is done, then the filtered records are flagged and ready for generation of Admit card. But the candidates can visit the website and generate admit card only after a certain date when this admit card facility is opened. The system also has integrated SMS facility to inform the eligible candidates of launch of Admit cards on the website. The SMS are sent through priority route using 2 SMS servers so that in case one is not delivered in time the other one should reach the candidate. Candidates can generate and print their Admit card by simply using their Application numbers in the Admit card section of the website. 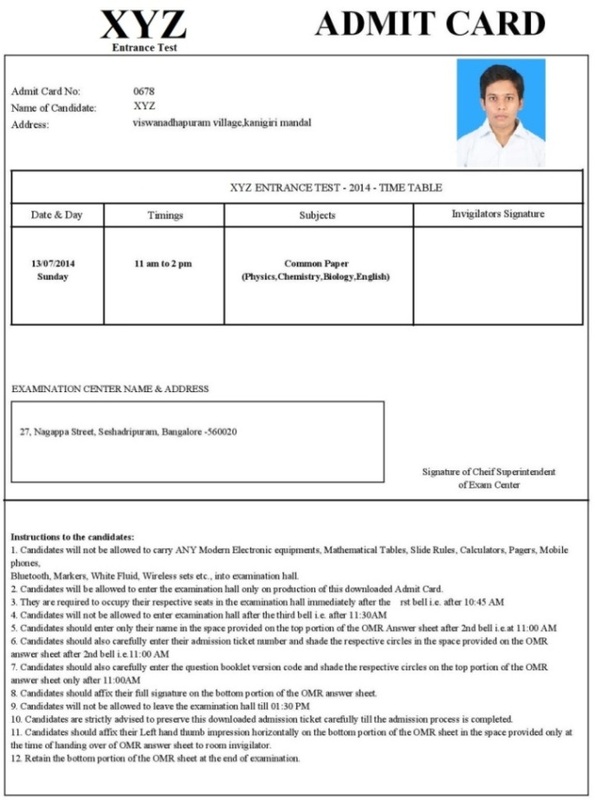 The system also keeps a record for the candidates who have not yet printed their admit cards to get a narrow assumption of the number of candidates likely to appear in the examination. 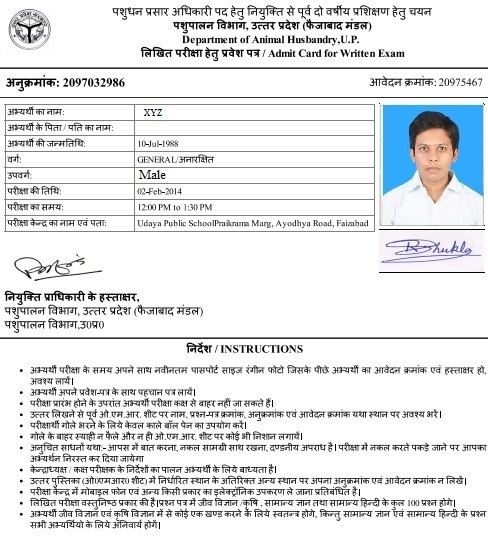 There can be several layouts of the Admit card as per the need of the organization. Some sample layouts are provided below for reference.